Noreen Demeria is Anishinaabe from Tootinaowaziibeng First Nation in Manitoba. She holds a BA in Humanities from the University of Calgary and has also attended law school (twice). advocating for the judicial review of historical claims of children that had been forced to attend residential school(s). She was able to contribute and assist with these claims for 7 years. Noreen then developed Bear Spirit Consulting and over the years has worked on a number of social justice and educational undertakings. 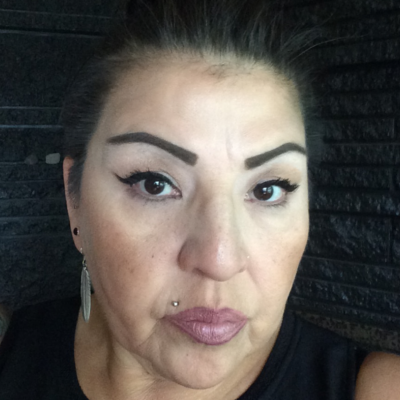 Her company also transforms into Bear Spirit Expressive Arts, through which Noreen uses art to break through residual effects of intergenerational trauma and systemic barriers by assisting people to find and use creative outlets for self-expression. More recently, Noreen completed the 1st year of an Interdisciplinary Master of Education program, “Indigenous Education: A Call to Action”, a program that was developed in direct response to the recommendations of the Truth and Reconciliation Commission of Canada (TRC) (2015). Noreen truly believes her current work with Actua is in line with the overall goals and objectives of Reconciliation – she is the Manager of Actua’s National Indigenous Youth in STEM (InSTEM) Program; acknowledging that Indigenous People have always known about and practiced STEM!